It's Beck's break-up anniversary! Not that she's been counting the days but there’s a possibility of a relapse. So what’s a girl to do? Call her best friend and tag her cubicle-mate turned drinking buddy, Jamie, along for the ride. I want to thank Ms. 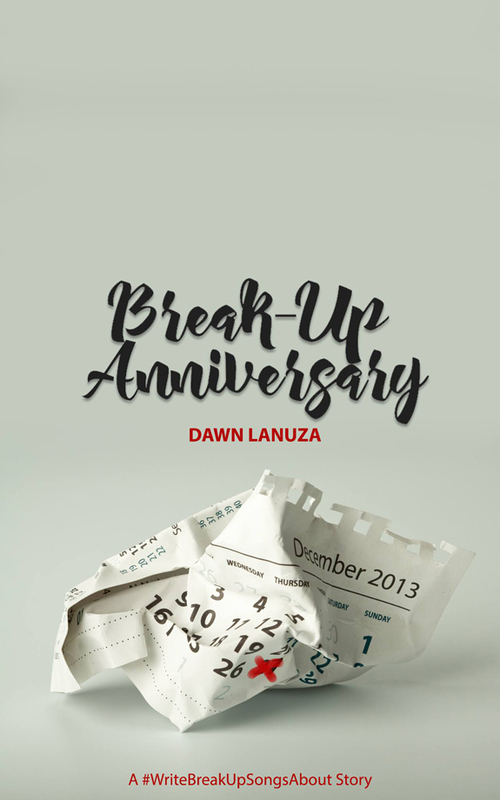 Dawn Lanuza, the author, for giving me a chance to review one of her books.I got the copy through instafree in exchange of an honest review. The book is just a short story about Beck who had break up with her former boyfriend, Nat. She maybe one of the 'indenial type' of women, she think she already moved on but she have doubts. She was the one who made the first move on texting her ex about the band that they used to love and with that, she's been waiting for Nat's reply for who knows how long. Her friends are the one's who keeps helping her to move on and Jamie, her workmate. I'll cut it there, Break Up Anniversary is a good book, it is enjoyable and I guess I read it in less than an hour. It's that short yes.. maybe a 200 page e-book? or something like that but it is interesting enough. And to be honest, I am so looking forward to Beck and Jamie's story which is yet unwritten. I would love to read something about the two of them and how can he help Beck to move on from her past? There's something about them, a spark, a lovestory that needs to bloom. Dawn Lanuza started writing stories when she was just a kid (they weren't good or even finished). She's a music elf by day and a meet cute writer by night. 'The Boyfriend Backtrack' is her first book. She currently lives with her family and an adopted dog.